Located in Decorah, Anthem Archery is Northeast Iowa’s archery pro shop. We are dedicated to serving a large number of hunters and archers in the region by providing both the tools and the training to succeed in the field. Anthem is not just an ordinary archery shop; we aim to give our customers a custom-tailored experience, no matter what their skill level or background. As a pro shop, we offer an extensive range of archery equipment and arguably the top three bow brands on the market – Hoyt, Mathews and Xpedition. Our indoor shooting range allows customers to fine-tune their skills in a controlled environment aided by our capable staff of dedicated hunters and archers. With years of experience in the field, we will help you take your archery skills to the next level. Anthem Archery carries a wide variety of products from these brands plus many more. 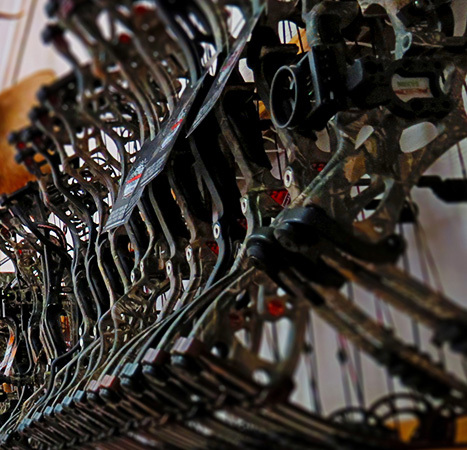 We offer everything from top-of-the-line archery equipment to used, quality equipment for the budget-conscious hunter. We are here to help you find the best product for your needs. Special ordering is also available. © Copyright 2018 Anthem Archery, All Rights Reserved.